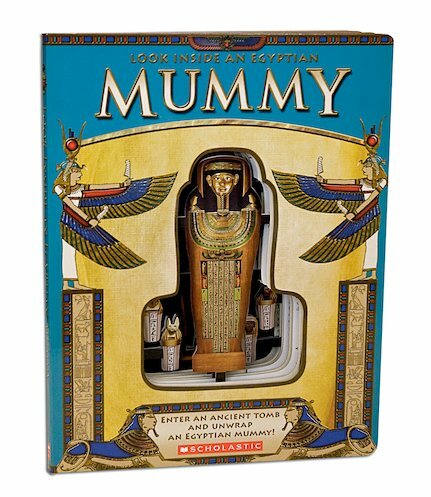 Unwrap this mummy and its ancient secrets with every turn of the page. Yuckily incredible. Dramatic cutaway sections let you see more the deeper you go: from the tomb to the ornate painted casket, the rich offerings and (at last) the bandaged body. Facts and glittering photos lead you into the tombs of Ancient Egypt’s mummies, exploring a culture where people’s greatest hope was to live eternally after death. Witness the amulets and gifts that were carried into the next world – and the spooky and sacred process of mummifying a body and its organs, ready for eternal reawakening.